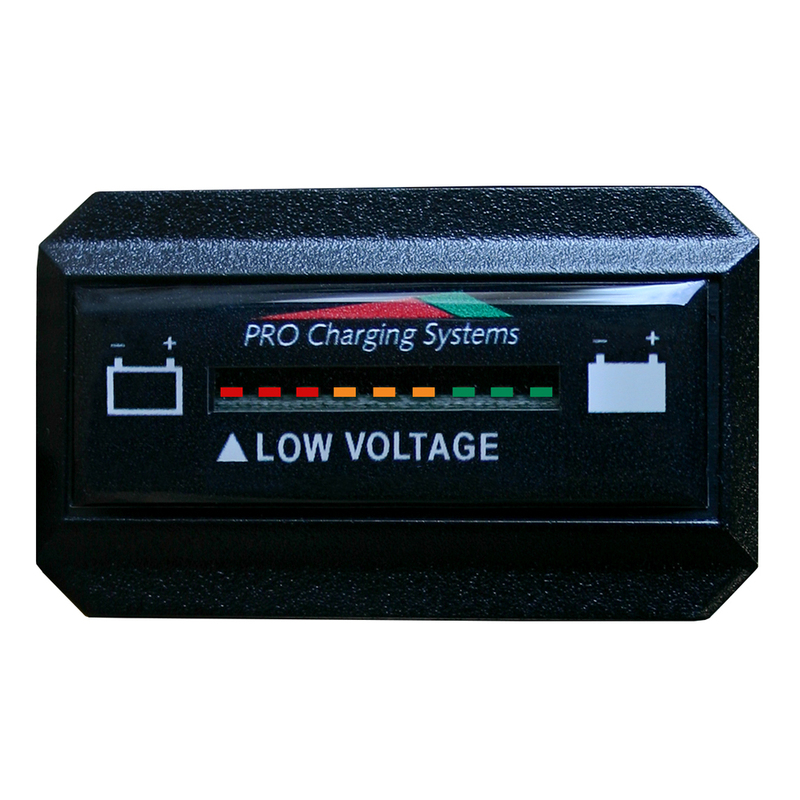 The Pro Charging Systems (PCS) Battery Fuel Gauge (BFG) measures your battery’s energy state with unparalleled precision and accurately displays the information with easy to read color coded LEDs. Our BFGs are DeltaView® Link (DVL) compatible which lets you to monitor the state of charge of your batteries right from your iOS™ or Android™ mobile device. Since our BFG uses intuitive technology, it fits and adapts to a wide range of applications. We take great pride in the performance, quality and versatility of our products backed by exceptional customer service. TROUBLE FREE — Easy Installation - Connect It and Forget It!